Hi Barbie – I promised I would tell you as soon as I see something happening … and my First Attempt at Planting Seeds appears to be successful! We have little seedlings coming up in the planter box – So far I have about ten coming up of the +/- 30 I planted. I’m moving the planter box to a sunnier position now that I am a little more confident in my abilities to take care of a few seeds . I’m strangely not as excited as I thought I would be. I think the whole Rare Bulbs undertaking has me more anxious than a couple of Nasturtium seeds! Other than that we’ve had three beautiful days here weather wise – sunny days with no wind and pleasant temperates – ideal for spending time in the garden which I’ve managed to do by sneaking away from work for short periods. I’ve done a lot of planting and reorganising, tidying up and general maintenance. Thanks James! Very exciting for a novice like myself! I think it also makes me so anxious waiting for the seeds to emerge. I even went out of my comfort zone and planted some seeds that said would take 21 days before you see anything. 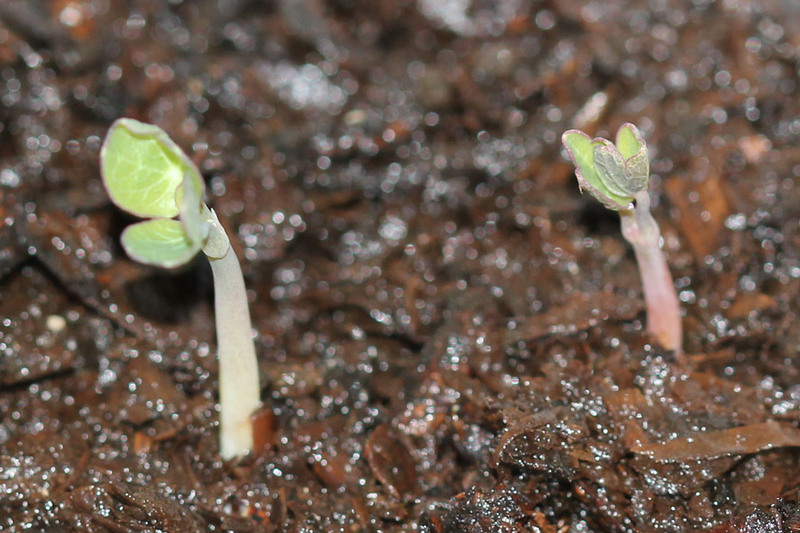 I always have my seeds sprouting in half the time it says on the packets which is ALWAYS so exciting to me to spot my first sprout and then watch the rest follow. Well at least what I have noticed this year. Jealous of your warm weather…we should be getting some of that soon here in Utah. It’s suppose to get to the 50′s..burr.. send some nice weather our way. Oh wow! I always get excited, just like Alan. A new life – brand new! Well done. You are no longer a novice!! I still get excited when seedlings emerge! I wish the ones I put into the ground would wake up. It seems to be taking forever!